Google is offering a not-so-cheap alternative for users who want to see just how it feels to be a Glasshole, but only on the outside. The trial versions costs only $50 so they have zero technological functionality whatsoever. Think of it as a Warbly Parker with a weird, clunky accessory that can’t take selfies: terrible. 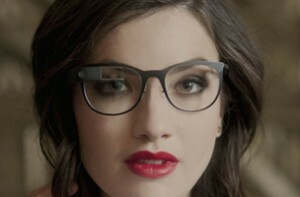 If this is a wearable device you are seeking, we hear you can call 855-9Glass9 to try it out, but take our advice, only try these Glasses on indoors in the safety of your own home. If you go outside and you live in San Francisco, a mean stranger will try and swipe it off of your face and you will have lost your $50 for naught. At least with $50 you can buy things in Candy Crush Saga and give them to Facebook friends, who will not make fun of you for wearing Google Glass.